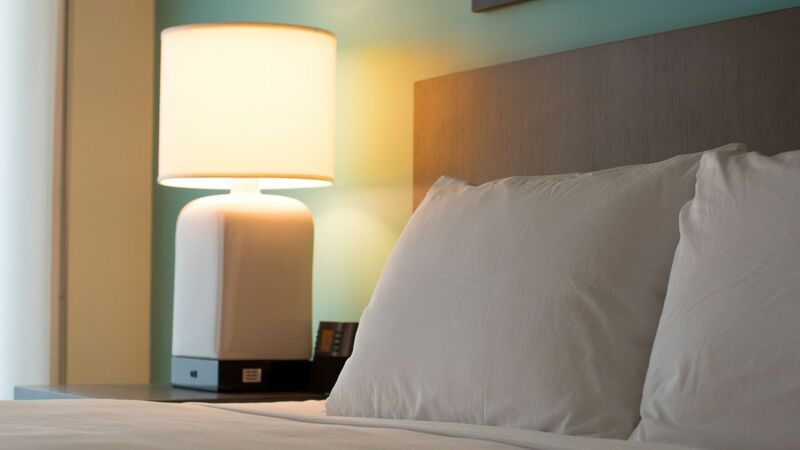 Our large rooms and suites feature plush Hyatt Grand Beds™, cozy furnishings, and free Wi-Fi to ensure an easy transition from your home to ours. Hyatt House Naples / 5th Avenue also offers rooms with views of the marina, greenways and Gordon River, as well as full kitchens and furnished balconies. Our high floor 937 sq ft two-bedroom suite features a separate living room, two bedrooms with king beds, and a fully-equipped kitchen. Our 485 sq ft one-bedroom suite features a separate living room, bedroom with one plush king Hyatt Grand Bed®, and fully-equipped stainless kitchen. Enjoy views of the Gordon River and Greenway from a 569 sq ft suite featuring a separate living and sleeping area with two queen beds and fully equipped kitchen. Our high floor 569 sq ft one-bedroom suite features a separate living room, bedroom with two plush queen Hyatt Grand Beds®, and fully-equipped kitchen. Enjoy views of the Gordon River and Greenway from a 535 sq ft suite featuring a separate living and sleeping area with one king bed and fully equipped kitchen. Enjoy this 754 sq ft corner suite with premium views on two sides of the Gordon River and Greenway, and a wrap-around balcony. Enjoy views of the Gordon River and Greenway from a 436 sq ft studio featuring a divided living and sleeping area with one king bed and fully equipped kitchen. 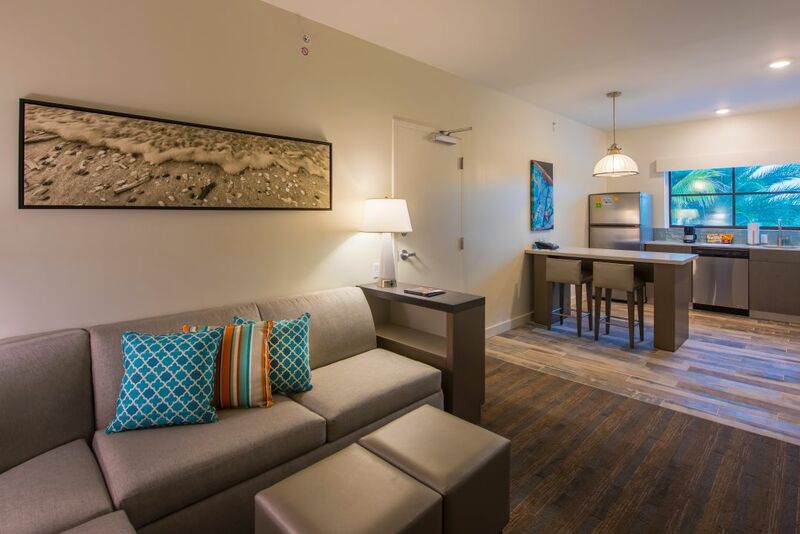 Our 436 sq ft studio suite features a divided living and sleeping area with a sofa bed sectional, one king plush Hyatt Grand Bed®, and fully-equipped kitchen. This 503 sq ft ADA-compliant guestroom includes one king-sized Hyatt Grand Bed®, accessible bathtub with hand rails, and numerous ADA-compliant amenities and features. 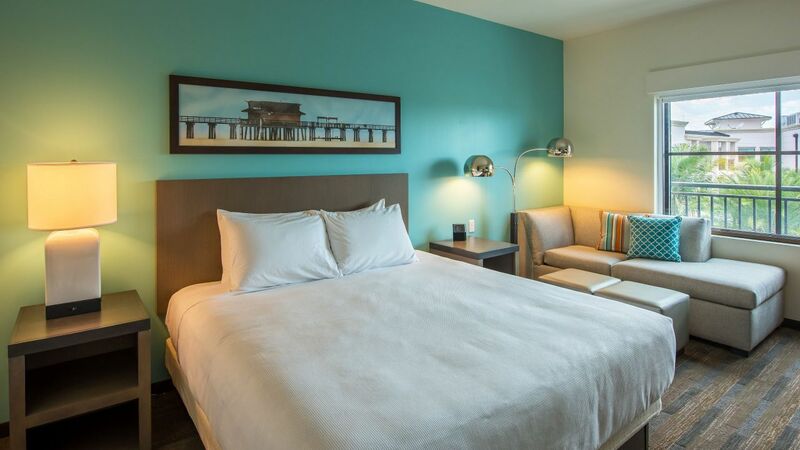 This 754 sq ft ADA-compliant guestroom includes two queen-sized Hyatt Grand Bed®, accessible bathtub with hand rails, and numerous ADA-compliant amenities and features. This 503 sq ft ADA-compliant guestroom includes one king-sized Hyatt Grand Bed®, accessible roll-in shower, and numerous ADA-compliant amenities and features. This 752 sq ft ADA-compliant guestroom includes one king-sized Hyatt Grand Bed®, accessible bathtub with hand rails, and numerous ADA-compliant amenities and bathroom features. Our spacious 328 sq ft guestroom features a seating area with a lounge chair and a sleeping area with one plush king Hyatt Grand Bed®. Our spacious 363 sq ft guestroom features a seating area with a lounge chair and a sleeping area with two plush queen Hyatt Grand Beds®. Enjoy views of the Gordon River and Greenway from a 328 sq. ft. room featuring a seating area, a lounge chair and a sleeping area with one king bed. Enjoy views of the Gordon River and Greenway from a 363 sq ft room featuring a seating area, a lounge chair and a sleeping area with two queen beds. 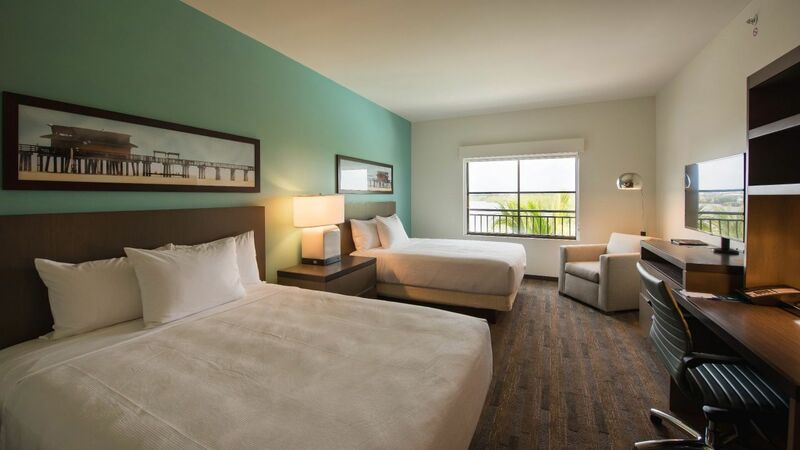 This 392 sq ft ADA-compliant guestroom includes one king-sized Hyatt Grand Bed®, accessible roll-in shower, and numerous ADA-compliant amenities and bathroom features. 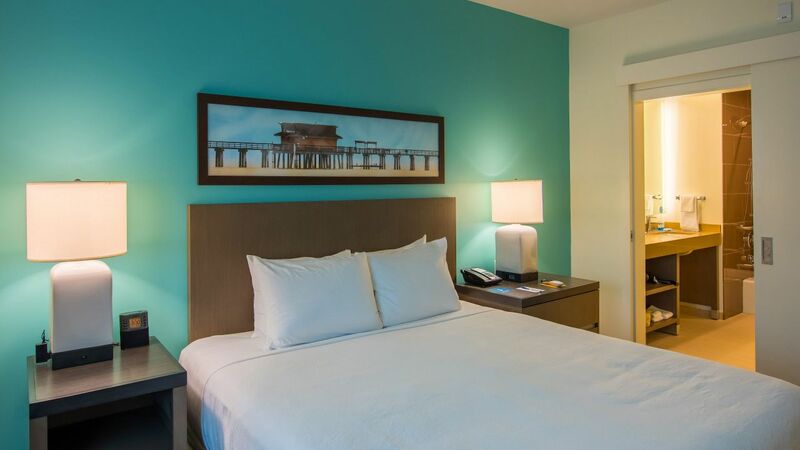 This 422 sq ft ADA-compliant guestroom includes two queen-sized Hyatt Grand Bed®, accessible roll-in shower, and numerous ADA-compliant amenities and features.